Right in the middle of the Black Forest Lignotrend produces high quality wooden construction components. The famous Goûter shelter, for example, was built at a nearly 4,000 metre altitude on Mont Blanc using the reliable materials provided by the German company. 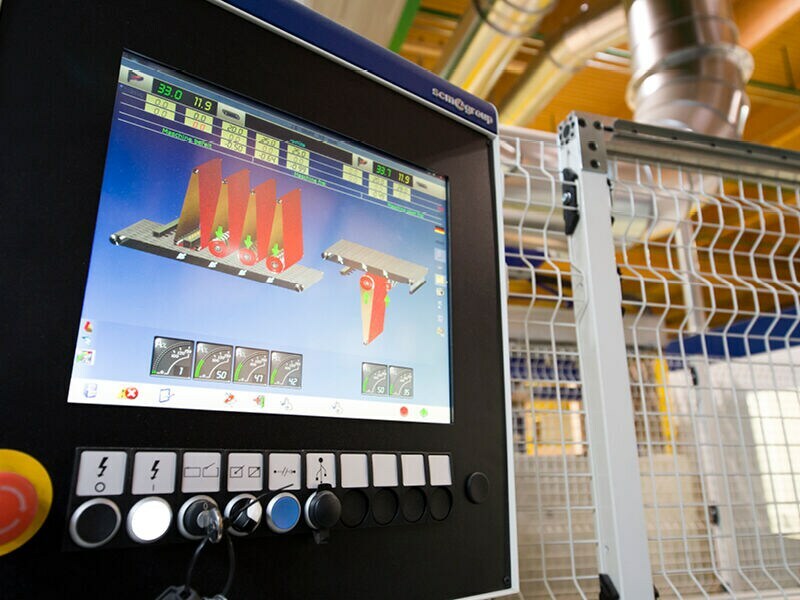 An important automated "Made in SCM" line has just been installed and commissioned at the company's plant for the production of acoustic components. Welcome to the "magic woods". This may very well be a possible fanciful and captivating translation of the Bannholz place name. Indeed, Lignotrend is located in Weilheim-Bannholz, in the middle of the Black Forest. The German company produces all types of wood lamellae and acoustic wood panels for the construction of walls and ceilings. Constructing wooden buildings is a centuries-old tradition in Central Europe, and Lignotrend, founded in 1992, has successfully combined this tradition with latest-generation technology of the highest quality. The company's production plant is actually a huge showroom displaying its complete range of products. 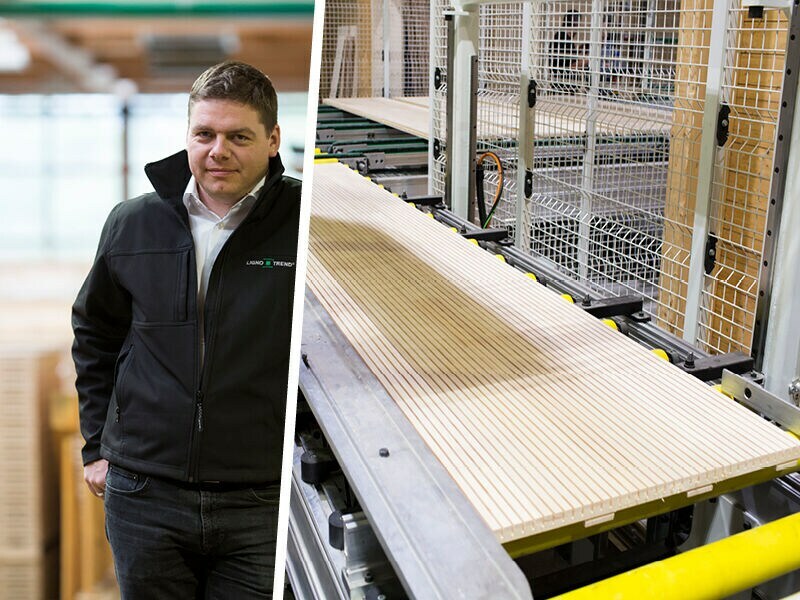 The plant is built entirely of wood, surrounded and crossed by scenic walkways that allow you to ‘inspect’ the floor areas set for the machines. And Lignotrend is naturally familiar with working at high altitudes, as it built the Goûter shelter, 3,835 metres above sea level on Mont Blanc. It is one of many superb buildings constructed with Lignotrend components, which are considered the most advanced among wooden building products. All across Europe there are countless buildings constructed using Lignotrend materials. From the day the company entered the market and through today a large share of its revenues has come from exports. Projects where the company's products have been used include public buildings and private residences, whose architects and designers chose the Lignotrend products as the most suitable for realising their dream buildings. The Weilheim-Bannholz plant produces CLT beams, walls, panels, floors and everything else required for wood constructions. There are over 1,000 items on the product list, all can be produced using different types of wood – spruce, fir, oak, beech, etc. The company was founded by Werner Eckert, a staunch supporter of the use of high-quality wood as construction material. Eckert combined his conviction with the use of technological innovations, producing components of exceptional mechanical, isolating, fireproofing and soundproofing qualities. These products are the results of collaborating with the finest research centres. Lingnotrend is a solidly family-run business. Indeed, the founder's son, Ralph, who grew up as a teenager in the family business, is now the company's CEO, and he is the one who guided us in a tour of a company that is deeply rooted in the community that surrounds it. Among the people celebrating the company's 25th anniversary this year were, besides all employees and family members, all the town inhabitants amounting to thousands of celebrants all gathered in the plant in a single day. A company of such level has naturally kept good ties with the Italian high-tech woodworking industry. From the beginning the company used Celaschi machines, the world-class technological leaders, for its panel squaring processes. A big SCM Group production line for processing acoustic panels and wooden house cladding has most recently become operational. 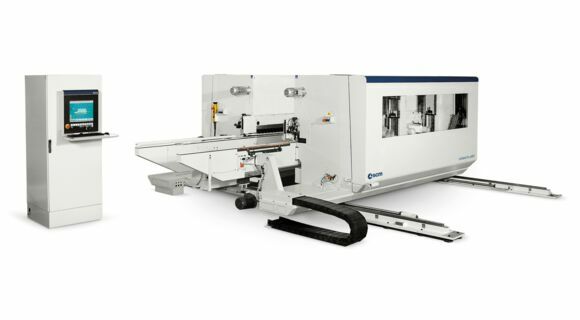 The line consists of an automated loading and unloading system, the Mahros Climber; three Celaschi Progress 90 squaring-tenoning machines; and four DMC T3 sanding and finishing systems. It is a complete line, put together to meet the needs of Lignotrend using standard reliable machines, where the company panels are being squared and profiled by the Celaschi machines. The DMC solutions calibrate and sand panels on both sides, a delicate operation considering the particular shape of these panels, and give panels' upper surfaces a customised texture according to the desired look. Upon completion of the production cycle, an SCM buffer provides improved management of panel unloading. The entire line, which is fully automated, is run and controlled by the Maestro Watch software system. When running in full production capacity, Lignotrend will use the line on three shifts daily, which explains why high productivity was required. In fact, Lignotrend produces 1.5 residential houses a day, houses which can be up to five stories tall. This also explains why the German company turned to SCM Group, after having carefully analysed other possible solutions available on the market. The choice fell on SCM because it was the only company that could provide a fully integrated solution to run the entire production cycle. But mostly because the high level of machining quality provided by the SCM Solutions guaranteed that the high quality standards set by Lignotrend will always be met. According to Ralph Eckert, the new "Made in SCM" line will allow Lignotrend to perform high precision panel machining and achieve greater production speed combined with high flexibility. "The big market trend is to use spruce wood with knot-free acoustic panels, which we produce for XLAM constructions. This trend has grown over recent years and we have followed it with high-quality products. Today it has become our core business and main expertise," says Ralph Eckert. 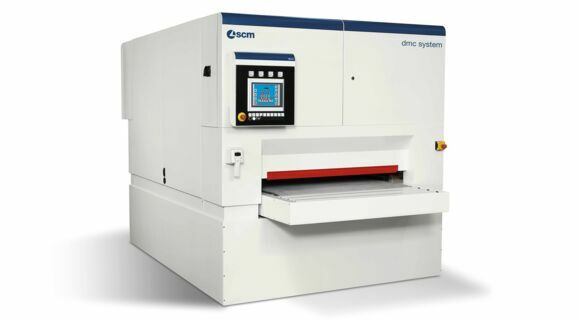 "The benefits the new SCM line offers us are the high precision of its panel machining combined with its processing speed which are both considerable and far greater than what we had before. With its production flexibility we can now produce different types of panels using a better manufacturing process while reducing production costs. But quality remains the primary attraction for us and was one of the key reasons we decided to buy the new SCM line. With the new system we can now offer a level of quality that had been impossible to achieve with our previous system." Now Lignotrend is ready to take up the new challenges posed by the market with SCM at its side.